Credits go to: awade1663, BGardenCreations, fancifulfascinators, FancySchmancyMe, favoriteflower, Goodthings88, HandMadeTreasuresFor, Heatherhelen75, HotcakesCeramics, JewelrySupplies4Less, LittleCajunBowtique, MemoriesMosaicSupply, monpetitviolon, PaintingByElaine, pawsativelypurrfect, StumblingOnSainthood and talulahblue. Today's feature shop has so much talent and beauty inside that just wandering in is enough to make one smile and take your breath away. With autumn coming, an entire slew of home decor ideas and fun decorating opportunities are right around the corner. Autumn themes, harvest, Halloween, Thanksgiving and Christmas are just a few of the wonderful opportunities coming up in the next few months and TheBakersDaughter on Etsy has you covered for supplies and ideas for seasonal decor at its best! This shop has a wide variety of decor items to fit the needs of anyone eager to change things up for the upcoming season. 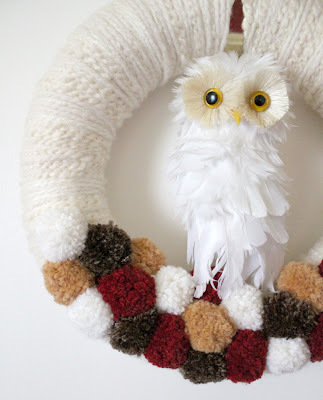 Colorful wreathes and trees sit beside textured wall art as well as bowl fillers in seasonal themes, Halloween decor, Christmas decor and more. Right now TheBakersDaughter front page is filled with adorable autumn designs and Halloween decor you're sure to fall in love with, and with Autumn just around the corner and Halloween sneaking up right on its heels, it's never too early to start shopping for those items that are sure to cheer up the home and make you and others smile on sight! YOU CAN CLICK ON THE PICTURES ABOVE TO VISIT THEBAKERSDAUGHTER ETSY AND TAKE A LOOK AROUND OR, IF YOU PREFER, YOU CAN CLICK RIGHT HERE! If you like what you see in TheBakersDaughter's shop, stop by and let the artist know what you think on Facebook! A number of years ago, a co-worker of mine created me a crocheted bookmark and I was amazed at it's finished result. When she told me what she was making, I expected it to be too thick and bulky. Instead, it was thin and delicate yet sturdy and durable... and not to mention beautiful! It became one of my favorite bookmarks and, unlike a variety of bookmarks that I've had since then and lost, I still have this beautiful bookmark today. Today's shop, Ellen Mackler's Gmaellen on Etsy, carries bookmarks just like this. 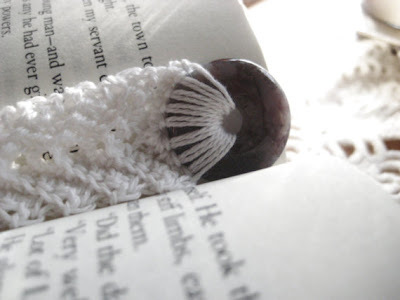 Beautifully crocheted but delicate, durable and yet thin enough to easily use as a bookmark between the pages of a book. And, these type of bookmarks are some of the most gentle you can use on books as well! With limitless possibilities to explore in every ball of string, bookmarks aren't all that Ellen offers in her shop, either. 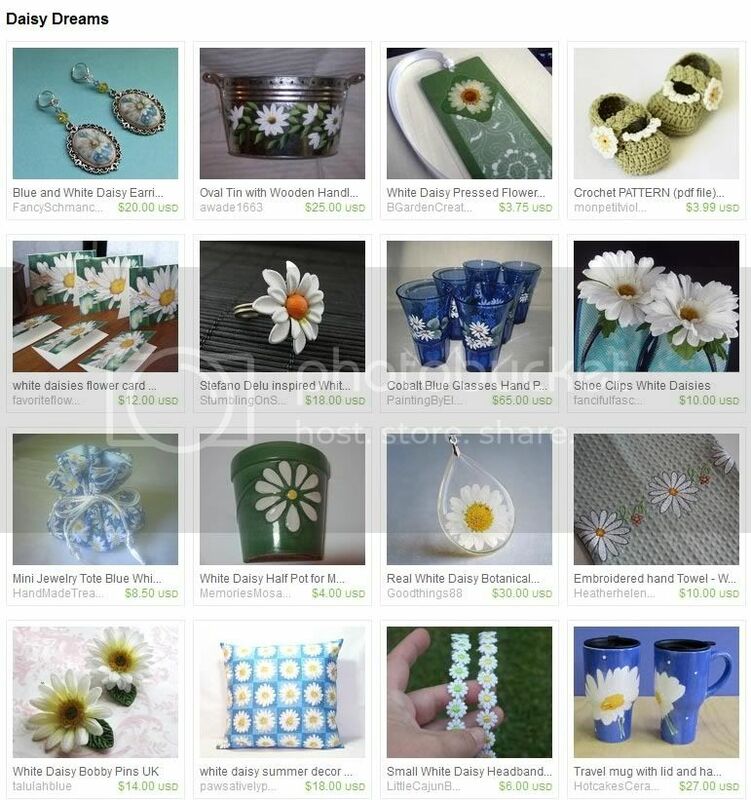 She offers a variety of items from bags and totes to kitchen accessories, baskets, jewelry, afghans and throws, dishcloths, washcloths, rugs, mats and more. I found myself particularly drawn to not just her bookmarks but a large variety of the items I found in her shop. Her wine carriers and area rugs were also of interest to me personally and I'm sure you'll enjoy them as well. If you like crocheted items, mesh bags or love bookmarks there's going to be plenty for you to fall in love with in this shop and if you're shopping for someone else, this is an excellent shop to stop by and browse in. YOU CAN CLICK ON THE PICTURES ABOVE TO VISIT GMAELLEN ON ETSY AND TAKE A LOOK AROUND OR, IF YOU PREFER, YOU CAN CLICK RIGHT HERE. 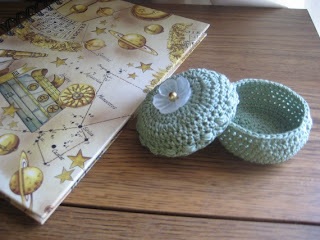 If you like what you see in Ellen Mackler's shop, you may also enjoy visiting Gmaellen's Crafty Corner blog! All those kids are going back to school. Some start in August, others in September, but one thing is the same no matter when they start... they need STUFF. Lots of stuff. Supplies and clothes and other things. And any chance to go shopping is another chance to show your support for handmade over commercialism so don't forget all those handmade artisans out there ready to help you start the school year off right! Dresses, pants, sunsuits and bows. This shop has a wide variety of clothing for little people perfect for sending them back to school in style. Beautiful workmanship, beautiful photos of these lovely items... and a quick turn-around on custom orders all make this shop one that if you have a little one heading back to school you won't want to miss stopping by and taking a look. Kids love animals and that makes HamjArt a terrific stop for someone looking for back to school supplies. This shop has a wide variety of backpacks, pencil cases and notebooks with artisan painted original animal artwork by Helen Ann Marie Jones. There's a menagerie of animals for your child to fall in love with and all backpacks, pencil cases and notebooks are currently 50% off! From pencils personalized with "This has been in my ear" to paper kits, cards, banners and more, Earmark is a great shop not just for students but for teachers as well! Inside this shop you will find cards, stationery, journals, prints, decor, invitations and much more. Each design hand crafted by a couple with a quirky sense of humor and boundless enthusiasm. A shop ran by a group of five women who work together to create a variety of stylish tote bags, reusable insulated lunch bags and lunch purses as well as a variety of lunch time accessories. Whether a teacher wanting to bring along their own lunch or a parent wanting to send their kids to school with nutritious food, the items in this shop are sure to help keep things fresh for lunch time! I hope you enjoyed today's collection of shops as much as I enjoyed finding them! Etsy is a great place for handmade, and back to school is a terrific opportunity to shop the handmade community for unique ideas and supplies.